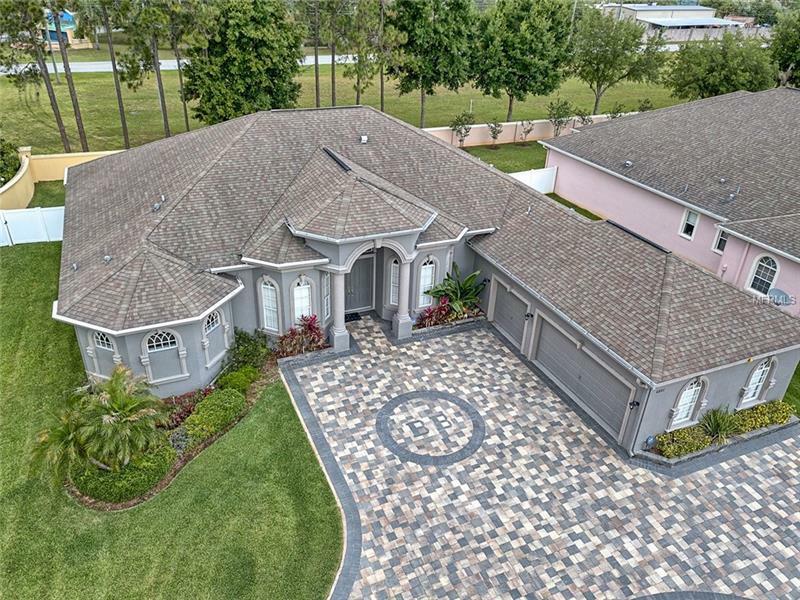 This CUSTOM Lexington Valencia 3 bedroom, 3 full bath, 3 car garage home sits on one of the largest lots in Magnolia Point and is located in one of the most sought after Land O Lakes gated and private communities of only 36 upscale homes. Each room is over sized including the closets. Bay windows grace the beautiful dining room with custom window blinds The kitchen offers a large Island and walk in pantry with lots of 42" cabinets and plenty of drawers. Have breakfast or lunch at the custom breakfast bar or the eat-in area overlooking the large fenced backyard and lanai and then relax in your own private hot tub. The 21' x 21' Great room/living room has sliding doors to the lanai. There is a large den/office with Bay windows and French Doors. Be the envy of your friends when you show off the beautiful and very large Master bedroom with the famous Lexington trademark bathroom. His and her large vanities, Garden tub for that fun bubbly and a walk thru shower to die for. Large inside utility room, 2 new high efficiency air conditioner units and wired for security of your choice. HOME WARRANTY! The interior has the owner's personal designer touch and the exterior was freshly painted, new gutters and a beautiful Paver horseshoe plus driveway for easy in and out! The large private backyard is large enough for a nice size pool. Located within 2 miles of shopping, grocery and drug stores, hair salons, restaurants and resorts. Luxury extended golf cart could be included. FURNISHED OR UNFURNISHED.